Managing large physical projects is always a challenge. P360M combines the power of 360 photography with app technology to allow project teams to visually share project updates. ​All you need to do is take a 360 photo using a 360 camera, such as the Ricoh Theta or other 360 camera, which can produce jpeg 360 photos. 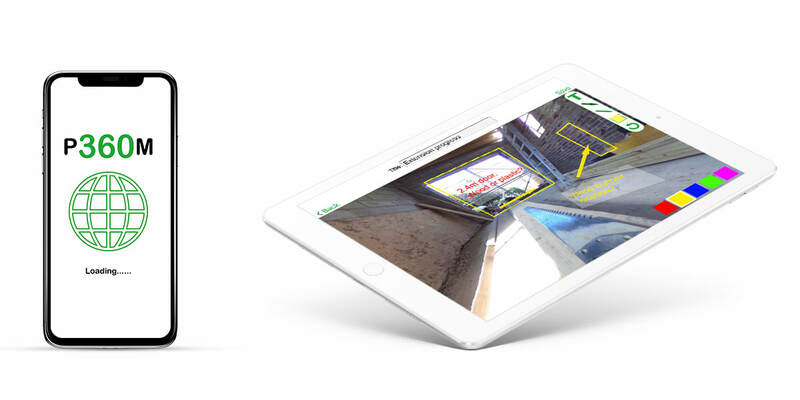 Once on your iPhone or iPad, you can then annotate the 360 image using the P360M app, detailing points of interests or asking questions; then post the annotated image to your project team from the app using our P360M cloud service. Project team members receive an email with a link to the project update. Clicking on the link opens a rotatable 360 view on their desktop, tablet or phone. They can also view the image in a totally immersive VR experience using Google Cardboard or other VR headset. The combination of a 360 view combined with annotations means anyone onsite or offsite can fully collaborate around a project without expensive time-consuming visits. A picture says a thousand words. A 360 picture shows you everything.